August is here already and before we know it we will be getting into one of Indiana’s most beautiful seasons – fall! Before we are ready to bask in the beautiful fall folliage, we homeowners have work to do. Each season your Carmel, IN home goes through abuse either from the weather, temperature, or its homeowners. To keep your home in tip top shape follow these simple fall tips and get to work as summer winds down. Examine your Property. Check walkways and paths for cracks and loose material. Fix them now before slippery weather is here and can cause tripping or other accidents. Examine your Roof/Gutters/Downspouts. Clear the gutters and check the downspouts for damage. Check the chimney and any other openings, such as skylights, for leaking issues. Change any Filters. If you have central air conditioning in your Carmel, IN home you will need to change the air filter frequently. Stoves, clothes dryers, and possibly fans need filters changed seasonally too. Prepare your Fireplace. Throw away any old ashes and make sure the damper works well. Check the handle and springs to ensure the flue is functional. 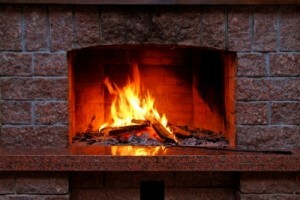 If necessary, hire a professional chimney sweep. Drain your Hot Water Heater. Hard water is very tough on hot water heaters by building up sediment in the tank. To avoid this make sure to drain it and double check for any rusting. If your hot water heater is rusting or is very old consider buying a new energy efficient model. Check your Windows. Most heat is lost through windows and doors. Go through your home and check the seals and caulking around the frame. Repair as necessary to ensure less heat lost this winter. As real estate agents we pride ourselves on continuing relationships with our Carmel, IN home buyer and Carmel, IN home seller clients well beyond the closing table. We like to provide useful tips and tricks to help make home-ownership a stress-free experience. These fall tips are just the beginning, so please contact a Carmel, IN real estate agent if you need assistance buying or selling a home. We hope to speak with you soon!